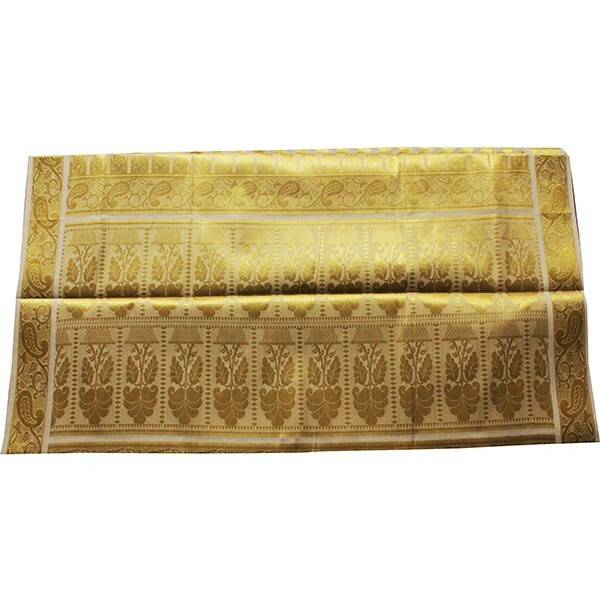 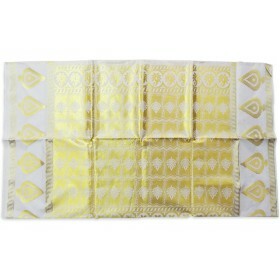 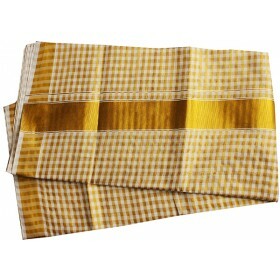 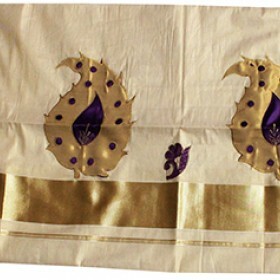 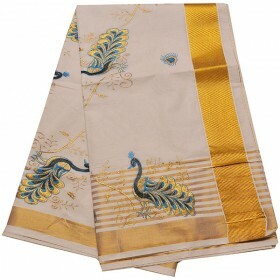 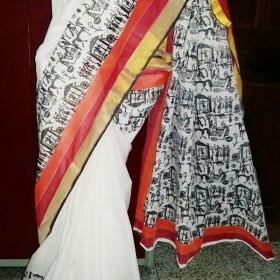 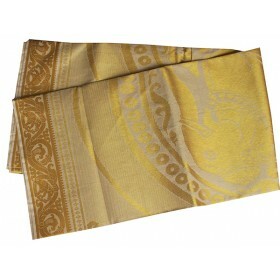 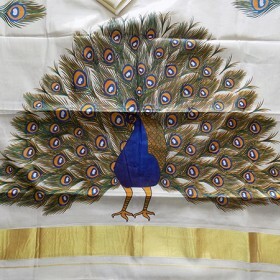 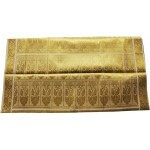 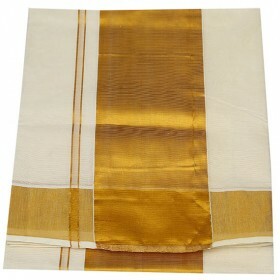 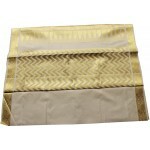 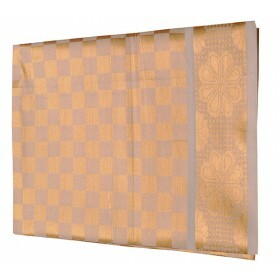 Kerala Swarna tissue saree depicts the popular golden design in its pallu and the fleets of the body. 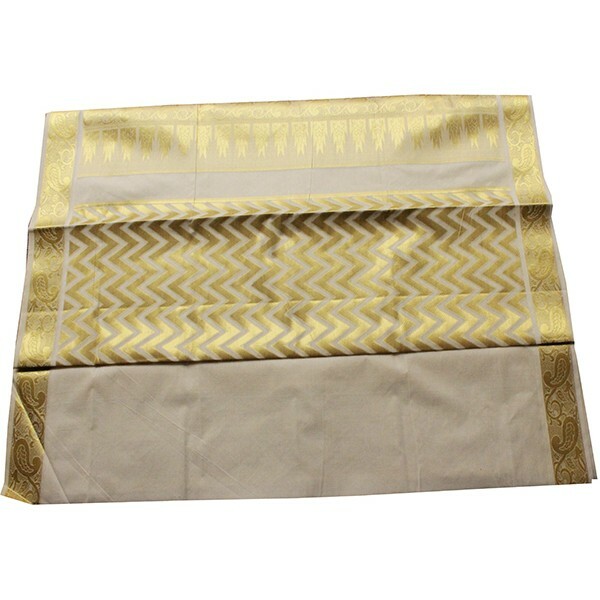 The golden coloured pallu is woven in to the kasavu with a nice blend of golden colours which gives the saree a traditional look. 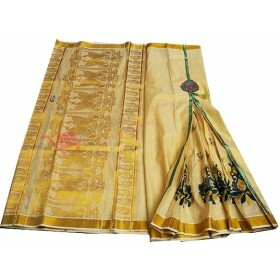 The body of the saree have delicate Kasavu design works that adds elegance to the saree.